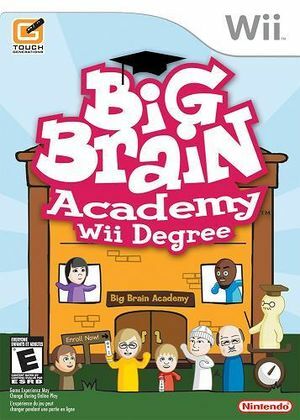 Big Brain Academy: Wii Degree, known in the PAL region as Big Brain Academy for Wii and in Japan as Wii de Yawaraka Atama Juku, is a video game released for the Wii. A sequel to the game Big Brain Academy for the Nintendo DS, it too measures a player's brain's weight, but with new games and puzzles to solve. The game makes use of Miis and uses WiiConnect24 features, allowing competition amongst users' friends, whose codes are automatically imported from the Wii's internal address book. Some graphics will be missing unless EFB Copies to Texture Only is disabled. Fixed in 5.0-7714. The graph below charts the compatibility with Big Brain Academy: Wii Degree since Dolphin's 2.0 release, listing revisions only where a compatibility change occurred. This page was last edited on 6 January 2019, at 00:43.